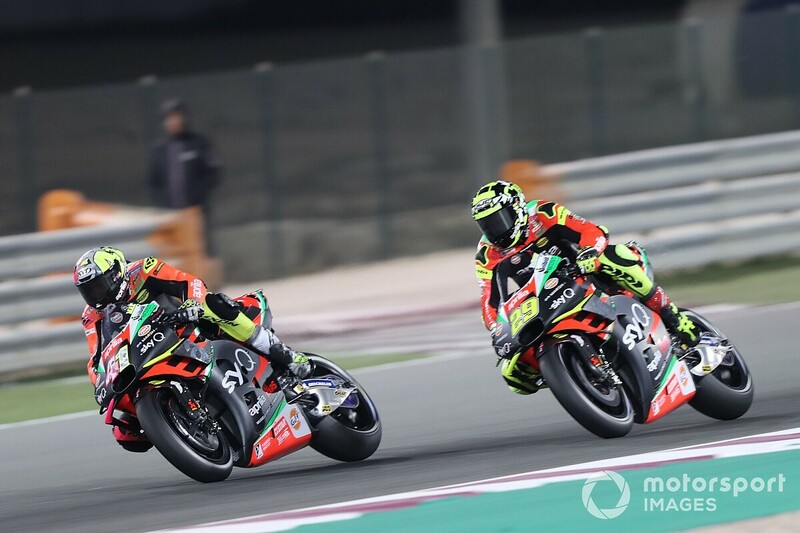 Aprilia Racing CEO Massimo Rivola says the Italian marque was informed by MotoGP officials in February that running a winglet in front of the rear wheel, as Ducati did in the Qatar Grand Prix, would be illegal. 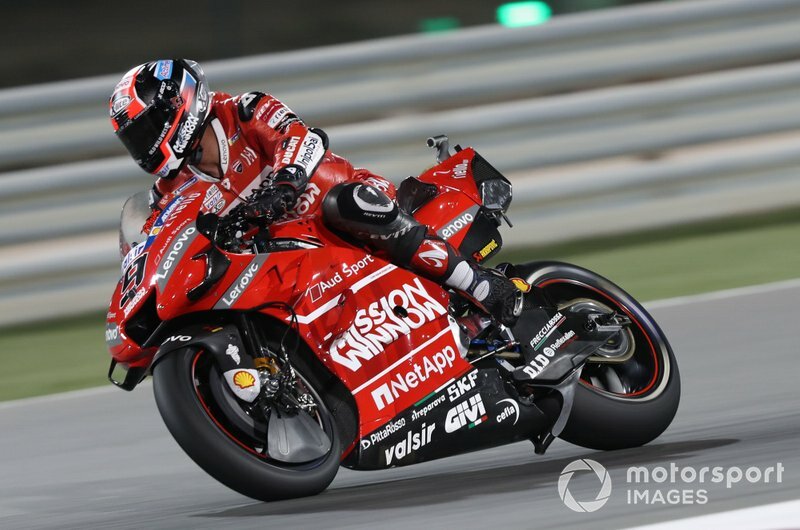 Rivola, who joined the Aprilia MotoGP squad from the Ferrari Formula 1 team this year, was one of the driving forces behind the protest filed in the wake of Andrea Dovizioso's victory in last weekend's Qatar season opener. Honda, Suzuki and KTM joined Aprilia in making a formal complaint about the legality of a new winglet that Dovizioso, Danilo Petrucci and Jack Miller all ran in the Losail event, a piece Ducati claims was designed only to cool the rear wheel. The protest was thrown out by stewards before being referred to the FIM Court of Appeals. Rivola revealed that Aprilia had been looking into running a similar device, only to be informed by MotoGP technical director Danny Aldridge on February 19 that it would only be permissible to run it in wet conditions, as Yamaha did in Valencia last year. 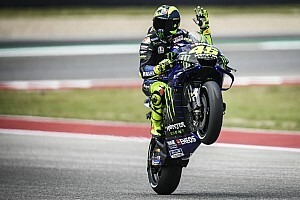 "In the last race of last year, in Valencia, Yamaha used a kind of spoon attached to the swingarm that dispersed water in the event of rain and was considered legal on safety grounds," Rivola told Italian newspaper Gazzetta dello Sport. "That solution opened our eyes. So much so that at the beginning of the year we asked the technical delegate if we could go and develop something in that area, where we know there is performance to be gained. 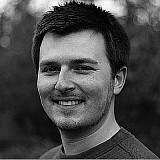 "Aldridge's answer on February 19 reiterated however that a similar solution can only be mounted in wet conditions. As a result, we stopped." He added regarding the protest: "Ours was not an action [specifically] against Ducati, we don't want to spite anyone. "What I find serious is that the email in which we were denied a similar solution was dated February 19, and after a week [March 2] there is another one that was clearly studied at length by Ducati." Rivola said he feels it is clear that running the winglet produces an aerodynamic benefit, while also pointing out that the fact it is mounted to the swingarm - a moving part - arguably makes it a moveable aerodynamic device. "What this element does, it's quite easy to work out," he said. "A simple study of fluid dynamics shows that everything you do at the front has an effect on what is behind. "In this area the air is very fast, if you attach a winglet it generates a load. There doesn't seem to be much to discuss. "A wing cannot be mobile. This [winglet] is not in itself, but if you attach it to a swingarm that is mobile, it has a different effect depending on whether you are braking or not."